Neil here, the Maker Expo volunteer co-ordinator. 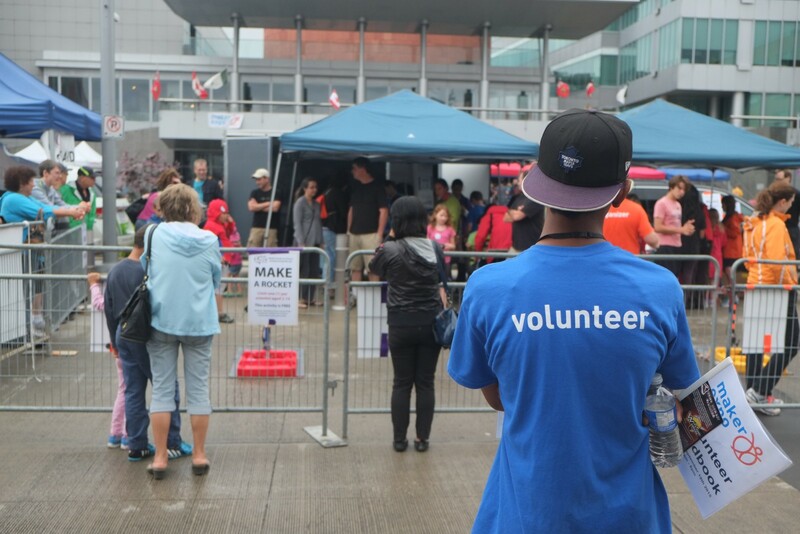 We are now accepting applications for volunteers at Maker Expo 2016. For those of you who volunteered last year, the process is a little different this time. We are using different volunteer management software that will hopefully cut down on a lot of the manual work we did last year. The new software is called Volgistics. Amongst other features it manages both the application and scheduling processes, so you won’t have to enter your information twice. We are still learning the ins and outs of the software, so excuse us if there are a few hiccups along the way. At the end of last year’s Maker Expo we surveyed our volunteers. 97% of them indicated that they would volunteer again. That is a phenomenal number and it is one that the organizing team take great pride in. We worked hard to ensure that our volunteers were treated well and had a good time along with all of the attendees of the show. Clearly we were successful last year and we plan to make it just as positive an experience this year. This year’s Maker Expo promises to be bigger and better than ever, which means that we need even more great volunteers. There are lots of opportunities, so read the job descriptions and sign up today. You get a custom designed volunteer t-shirt, free food and a chance to see and interact with the best makers, artists and creators in the region. If that isn’t enough, we will also sign off on high school volunteer hours.